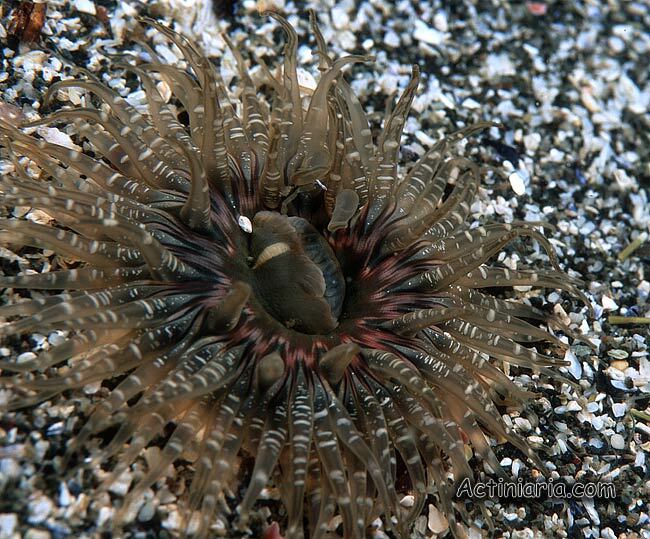 This species of Anthopleura is common on the intertidal zone of North Western Pacific on Commander Islands and East Kamchatka. 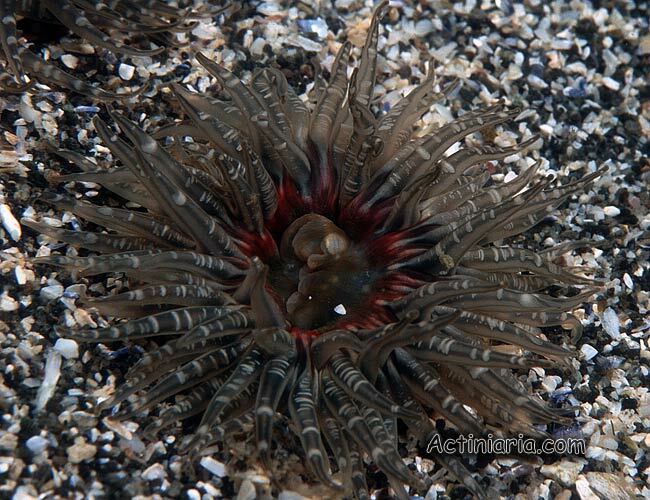 Traditionally this species is identified as Anthopleura xanthogrammica, although it is obviously very different from the real A. xanthogrammica (which occurs in East Pacific). It resembles Anthopleura kurogane, a species occurring in Japan, but differs in some significant features. 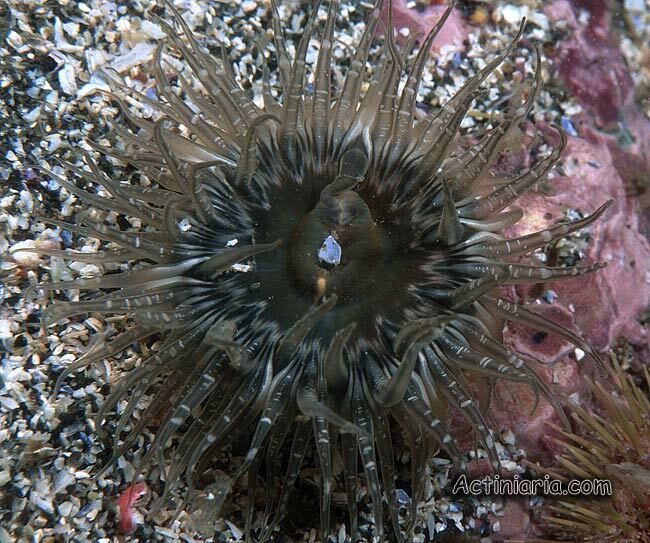 Anthopleura orientalis also occurs in North East Pacific, from Alaska to Puget Sound. 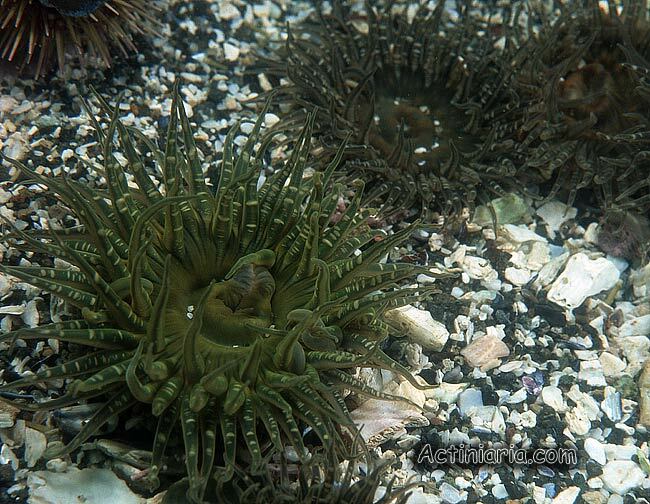 On american side of Pacific it is often wrongly identified as Anthopleura artemisia. Original Anthopleura artemisia described by Dana in 1846 is a very different species, actually the original figure published by Dana (reproduced on the bottom of this page) shows either Anthopleura sola, or the species currently known as Anthopleura elegantissima.